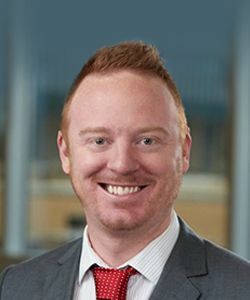 Dustin York, EdD, teaches as an assistant professor of communication and serves as the director of the undergraduate and graduate communications program at Maryville University. His PR experience spans the agency, corporate, and political realms; York has worked for major clients including Nike, PepsiCo., and Scottrade Financial Services and as the public relations consultant on a 2008 political campaign. York’s doctoral dissertation examined the relationship between speakers’ nonverbal communication and audiences’ recall of spoken information. His method increased information recall by 22 percent and was published in Entrepreneur magazine and PR Daily. In 2016, he was included in St. Louis Business Journal’s 30 Under 30 list. At Maryville, York has facilitated the launch of a student organization that tackles public relations projects for one client per semester. Clients have included the St. Louis Library and Safe Connections, an organization in St. Louis working to end domestic and sexual violence. He also serves as the faculty advisor to Pawprint, Maryville’s online student newspaper, and Saints Talk, a student sports podcast.